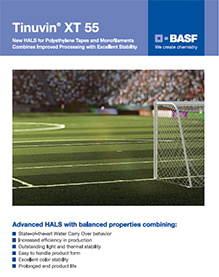 Tinuvin® XT 55 by BASF is a Hindered Amine Light Stabilizer (HALS). It is a high-performance light stabilizer, which imparts outstanding weatherability to polyolefins. The main advantage of Tinuvin® XT 55 UV & light stabilizer is its well-balanced property profile combining light and thermal stability with improved processing behavior, especially reduced water carry over during the production of tapes and monofilaments. 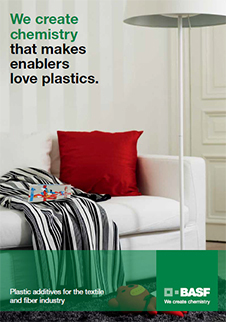 Tinuvin® XT 55 is a highly effective light stabilizer for polyolefins and other plastics featuring powerful long-term thermal stabilization performance. It protects polymers from UV radiation and preserves the original appearance and physical integrity during weathering. The recommended concentrations range between 0.05% and 1.5%, depends on the substrate and the performance requirements of the final application.